Description: Shell width greater than height. Whorls strongly shouldered at upper fifth; shelf above shoulder flat or concave, smooth, without axial folds or spiral sculpture. Body whorl roundly angled at base. 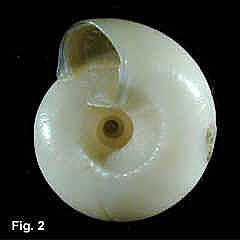 Whorls sculptured with low, wide spiral ribs, up to 10 on penultimate whorl below shoulder, sometimes obsolete. Axial sculpture absent. Base rounded, sculptured similarly to spire. Umbilicus widely open, extending to apex, angled, sometimes beaded at umbilical margin but smooth within. Aperture circular, outer lip smooth within. Colour white with wavy axial pink streaks, base usually white, umbilicus and aperture white. Interior nacreous. Size: Up to 9 mm high, 10 mm wide. Distribution: Endemic to Australia; Swain Reefs, Qld, to Ulladulla, NSW. 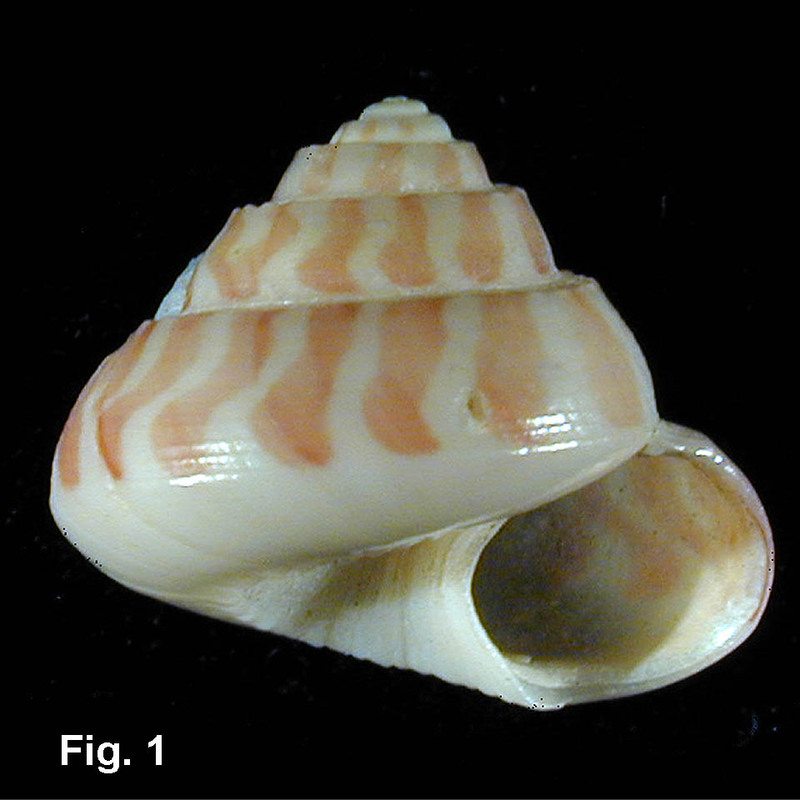 Habitat: Subtidal, to 187 m. Known mainly from beach shells. Uncommon. Comparison: This species is very similar to S. philippensis, but is taller, with the body whorl more angled at the base. The base is usually white in this species but patched with pink in S. philippensis. The body whorl is smooth within the umbilicus, lacking the one or two ribs present in S. philippensis.